OHBLOGLAGI! : FREE CK Eternity Aqua by telling us your story! FREE CK Eternity Aqua by telling us your story! What’s your happily ever after story? Love is many things – it is eternity, it is a story waiting to be told, and it’s two people who complement each other in every way. 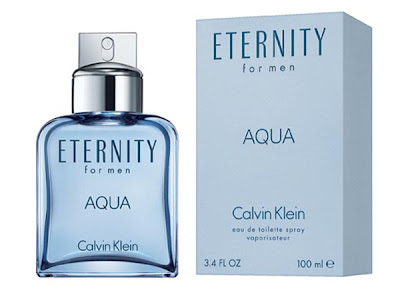 Celebrate love with Calvin Klein’s Eternity Aqua couple fragrance set, with scents specially brewed for him and for her. 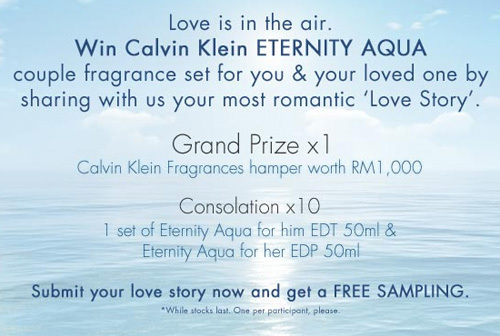 Share your most romantic story and you could win a Calvin Klein Fragrances hamper worth RM 1,000! All participants are entitled to a free CK Eternity Aqua sample while stocks last, so hurry and tell your story!